If your living space is lacking the expansive view you desire, use custom wallpaper to bring in as many windows as you want. Check out the inspiration room. The custom wall mural uses an image of an office building with windows in unexpected patterns. Then to add a little more visual interest to the mural, the image was flipped on it's side. 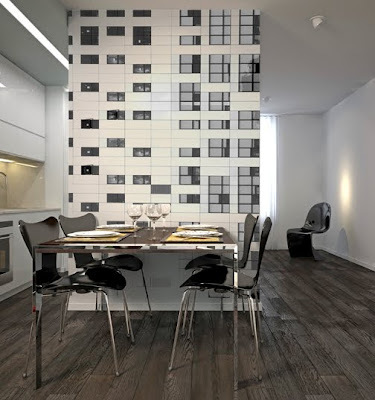 Perfect for apartment dwellers and dorms, adding windows is simple with custom wallpaper. And with our repositionable wallpaper, you can install your wall mural and take it with you when you move.